2017 Show Theme: "Mineral Oddities"
Quality dealers, minerals, fossils, gems, jewelry, lapidary equipment and supplies, exhibits, special lectures, fish pond for kids, hourly door prizes, silent auction, lectures, demonstrations, refreshments available, and free parking. 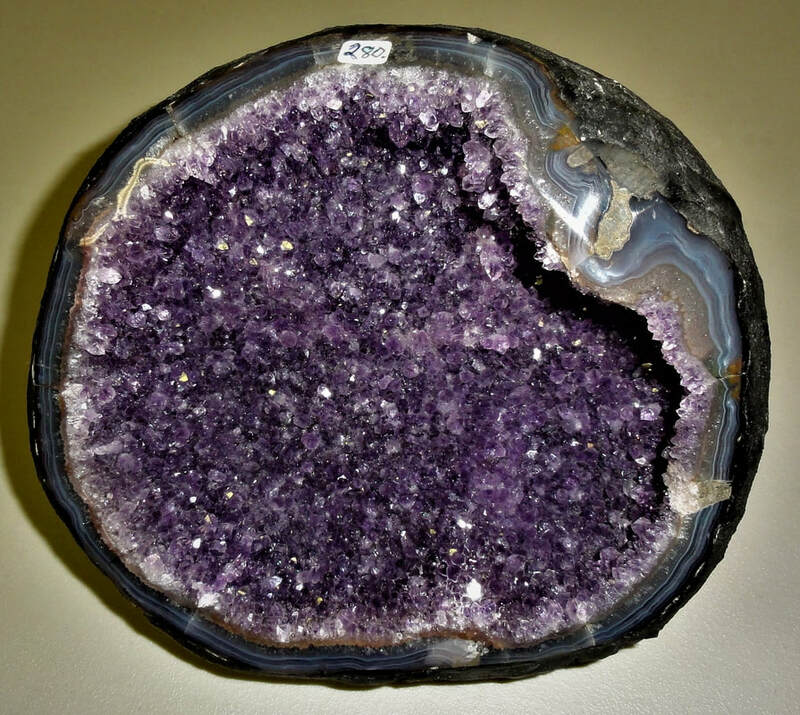 "The Balmat Mining District, St. Lawrence County, NY: Full of Mineral Oddities"
"Pitcairn, NY: An Unusual Locality for Fluorescent Minerals in Northern New York"
This amethyst geode will be raffled off at the 2017 Show. Tickets will be available for purchase at the Show.